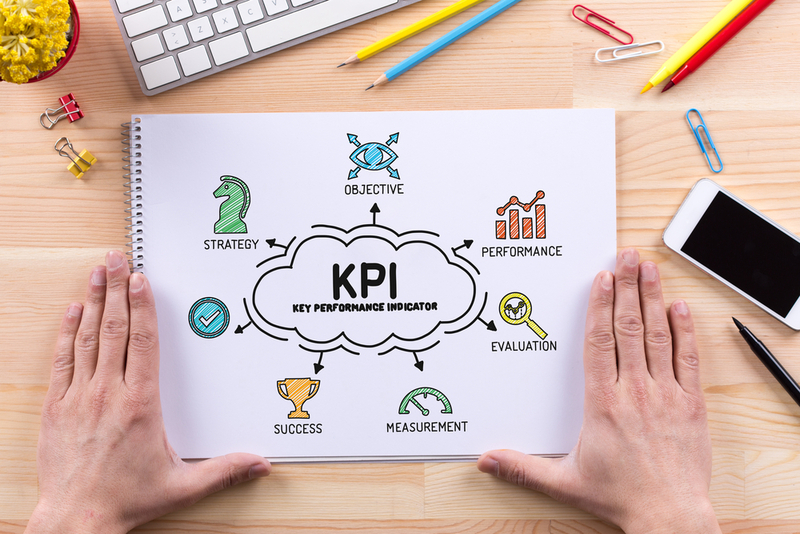 KPI is an abbreviation for “Key Performance Indicator”. It is a statistic that measures the performance in achieving key objectives, such as general office and specific job productivity. Successful businesses use KPIs to monitor all areas of their organization. Without KPIs, a business is running blind. You wouldn’t want to drive a car without knowing how fast you were going, or how much fuel you had left, would you?! Similarly, you are “running blind” if the practice is managed without monitoring the appropriate KPIs. Both you and your office manager would rely upon opinions and guesswork. Such management becomes subjective, and not based on factual statistics. This can result in ineffective and complacent management, and a lack of practice expansion. Active Patients (in a General Practice “Active Patients” are those that come in as scheduled for recall. When patients miss two recalls in a row, they are “Inactive”). Record your KPIs on a chart. A list of numbers does not show the upward or downward motion of the activity you are measuring. Carefully examine the direction (and the trends) in the numbers, and try to find actions within the practice that correspond with the increases or decreases. Without a proper understanding of KPIs and their purpose, production and goals within the practice will not be tracked. Imagine watching your favorite team play without a scoreboard, and you will understand why observing such numbers is important! Once the KPIs are being graphed on a regular basis, they must be used. Look at the graph’s trend, is it going up or down? Are there any significant changes in the trend compared to last month’s numbers? Last years? Over the past two or three years? The mere act of looking and thinking about these changes will increase awareness, and can lead to creative and imaginative ways to improve the practice! Ensure your KPIs accurately measure your office’s productivity. Chart your KPIs monthly (although weekly is ideal). Put these charts in a visible place as a reminder and motivator of what is needed. Regularly observe the graphs to see what trends are emerging. Is it trending up or down? Is it staying flat in the same statistical range? Try to take effective action based upon what the graph trend is showing you. Remember, you must LOOK at these charts. The biggest deterrent to practice growth and efficiency is complacency. If you track your KPIs and use these charts, even on a rudimentary basis, it will keep your practice and staff sharp. ePracticeManager has developed a suite of training courses and job descriptions for each key role within the practice. For more information please click here to learn more or schedule a demo: LEARN MORE.